Wolves Heroes » Blog Archive » Variety, Then A Long Stretch For David! Variety, Then A Long Stretch For David! David Wintersgill in his 40s. 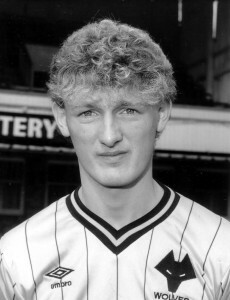 A lot happened to David Wintersgill after he became one of the youngest first-team players in Wolverhampton Wanderers history almost three decades ago. Although much of the rest of his career was ‘under the radar’, his frequent chopping and changing brought nothing like the stability he has been afforded by working for the last 18 years in the prison service. Following his release from Molineux in 1984, the North Yorkshireman, having already been on loan to Chester, served Wimbledon, Bradford City, Scarborough, Bishop Auckland, Colne Dynamoes and Darlington, and had three summers playing in Finland. And all that is in addition to the ten seasons he had part-time with Guiseborough Town after going ‘inside’, initially at Franland top security jail in Durham and, for the last 16 years, at Holme House Prison in Stockton-on-Tees. “From Wolves, I was taken to Wimbledon by the same guy who had found Nigel Winterburn for them,” Wintersgill said. “But I never made it to the first team because I was Nigel’s understudy and he never missed a game. I had a three-month spell at Bradford, then joined Scarborough and faced Andy Gray and Mark Buckland, who had been team-mates at Wolves. “I got a deal with a club in the north of Finland and found myself looking for a release from England clubs so I could go and spend three successive summers there. “It was great experience, although it meant I played almost all year round. I played up in Lapland and liked the travelling, having been to Kuwait with Wolves and to Sweden with Wimbledon. 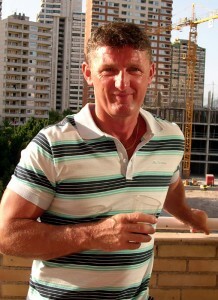 Wintersgill, now 44, filled in as a labourer before joining the prison service, for whom he works as a PE and sports instructor not far from the family home in Billingham. So why Wolves all those years ago – and what about that shock debut against Blackburn at the age of 16 on the opening day of the 1982-83 Second Division season? “I was coming down for trials in the school holidays from the age of 12 or 13 and left in about the May of 1982 to join Wolves full-time,” he added. “I had played against Luton in a friendly at Molineux just before the season started but Hugh Atkinson would have faced Blackburn if he hadn’t broken down in training on the Friday. “Mick Hollifield was also injured, so I played on the left of midfield, in front of Geoff Palmer, and we won 2-1. I was retained for the 0-0 draw at Chelsea straight after and stayed in the squad for ten weeks. The Molineux youngster more than 25 years ago……. “The Blackburn game was on Match of the Day and I was quite involved, so the dvd has been watched with interest by my son and the lads at the prison. “I made an appearance at substitute against Watford and was brought back for a game against Birmingham in the top division – and used alongside Wayne Clarke up front – because I had just scored a hat-trick in the reserves against Port Vale. I was very much a utility player. Posted on: Sunday, March 14th, 2010.